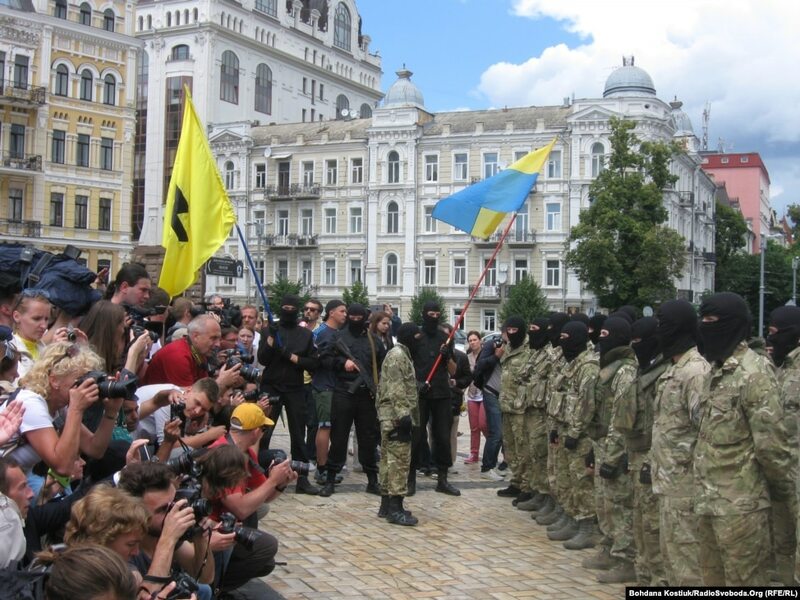 On Monday June 23, a group of 300 neo-nazis took an oath in Kiev as members of the Azov Battalion of the Ministry of Interior to be sent to the East as part of Kiev’s “Anti Terrorist Operation” against the Donbas uprising. 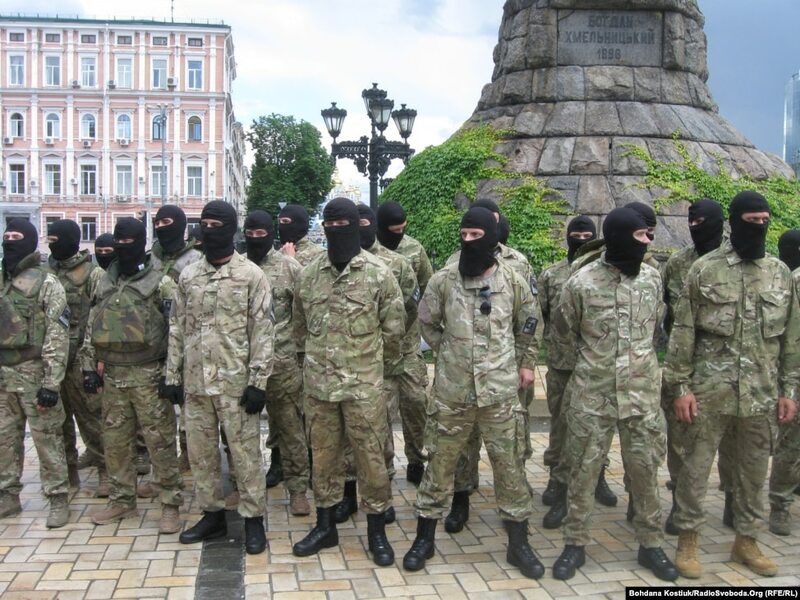 The commanders of the Azov Battalion are all leaders of neo-nazi organisation Social-Nationalist Assembly of Ukraine and its armed wing “Patriots of Ukraine”. 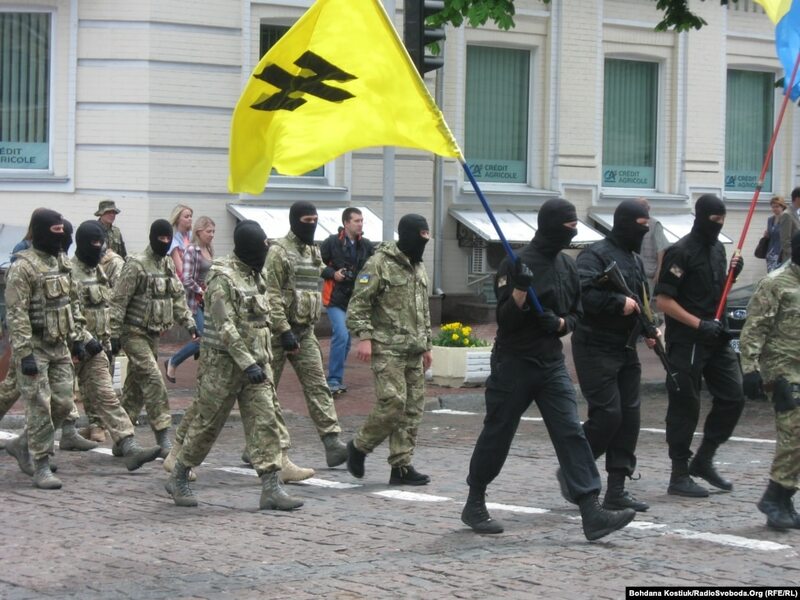 The oath taking ceremony in central Kiev was carried under the SNUA flag, yellow with a version of the wolfsangel nazi symbol. 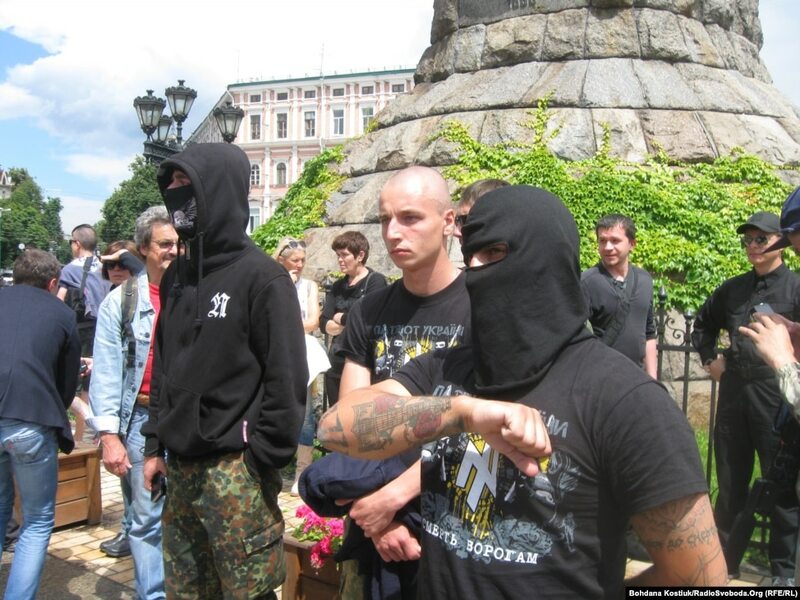 The SNUA and Patriots Ukraine are component parts of the Right Sector. 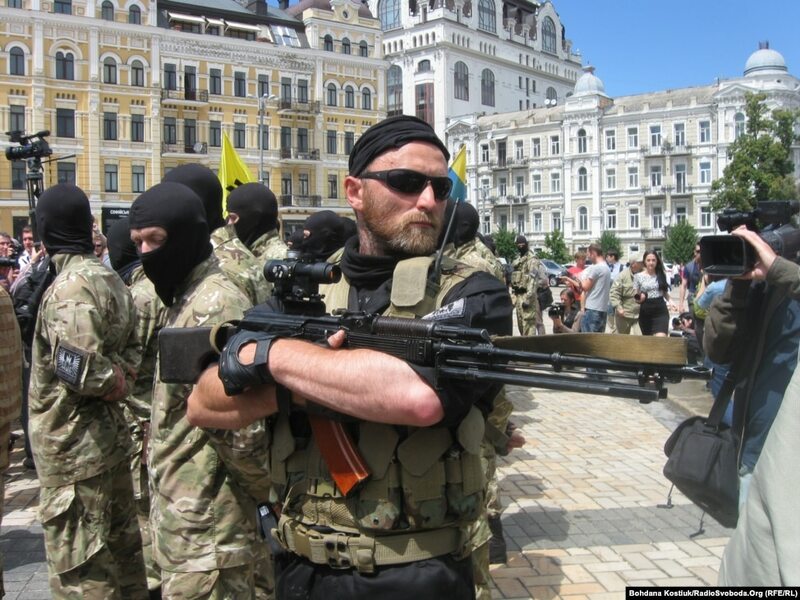 According to the Radio Free Europe report, speaking at the event was battalion deputy commander and neo-nazi Igor Mosiychuk who explained that amongst the members of the battalion taking an oath (all of them masked) were some Russian citizens. This entry was posted in News and tagged azov, Azov Battalion. Bookmark the permalink.